Insert a FiberTuff™ post into any existing netting to add extra support at corners, ends or for changes in direction. Insert a FiberTuff™ post into any existing netting to add extra support at corners, ends or for changes in direction. FiberTuff™ posts have no built in clips on the side but the top cap can hold the top horizontal of the netting. The post has a step-in foot or, for packed soils, can be hammered into the ground without a drive cap. Posts are black with a gray top. Available in 18", 20", 24", 30", 35", 42" and 48". 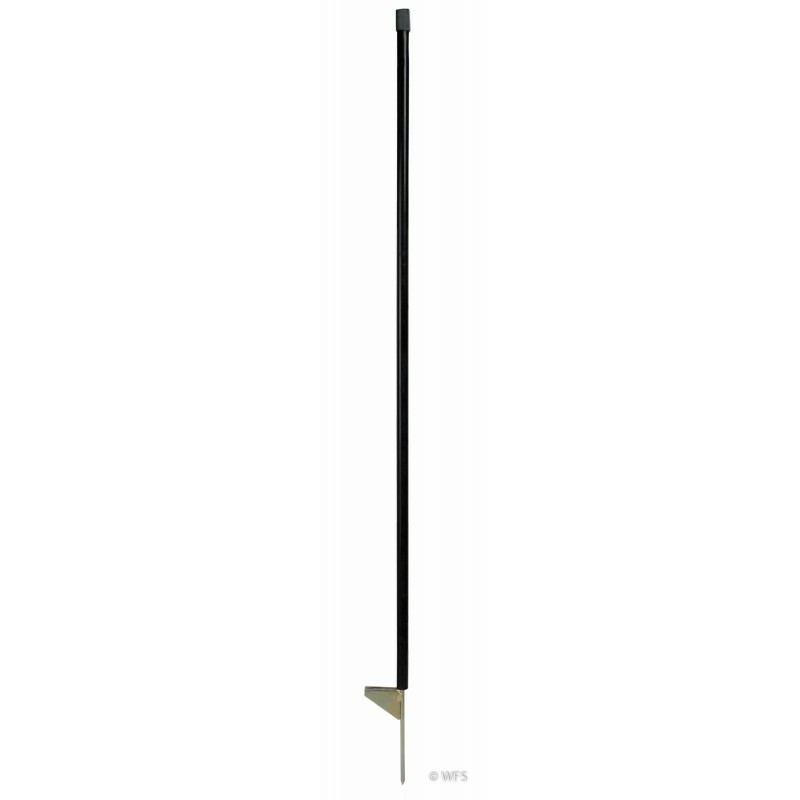 The posts are 19mm in diameter with the exception of the 42" and 48" posts which are 22mm. The 22mm post is twice as stiff as the 19mm post.